C&W Services helps colleges and universities save energy. South Carolina State University, with about 50 buildings on campus and about 3,000 students, tries to be mindful of its energy use. 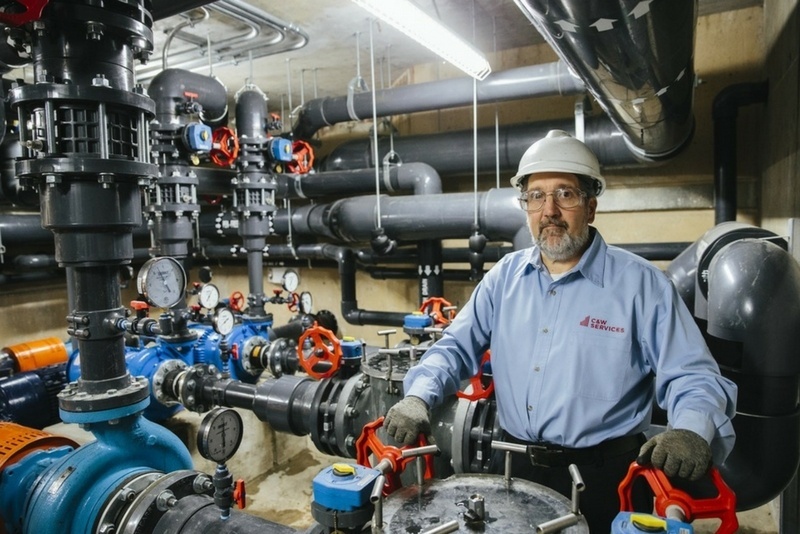 That’s why it partnered with C&W Services to redesign the boiler system on campus. That’s why in 2012 SCSU and C&W Services started to work on transitioning the campus over to a decentralized steam system. They started by transitioning the priority buildings on campus, working to get the gas lines installed in an efficient and cost-effective manner, before expanding out to the rest of campus. The entire process was estimated to take three to five years, but they saw positive results almost immediately. The new boilers also come with a host of energy-saving features powered by the Internet of Things (IoT). One of these features allows us to turn the boilers on and off remotely. Additionally, the boilers’ sensors can read the weather and adjust the temperature of the water accordingly. SCSU has also embraced a number of other energy-saving measures, like retrofitting buildings with LED lighting. Read more about how we’re improving energy efficiency, productivity, and safety at college campuses through the use of IoT technologies. Save money by saving energy. The transition to the new steam system was completed in the fall of 2017. In the first academic year with the new decentralized steam system, SCSU saved an estimated $530,000 in energy costs. C&W Services worked closely with SCSU throughout this entire process, and we took the lead when it came to coordinating with the gas company and the state engineer’s office. We also handled the project management. There’s a reason why the school’s president refers to us as a “partner” as opposed to just a subcontractor. We pride ourselves on delivering a broad portfolio of services, developing and empowering our people, and defining a new status quo.